If you are looking for health insurance you may want to check out this Resource Health Insurance Company Review. Resource Insurance Group has been around since 1991 and is an independent, full-service agency that offers insurance products to residents of South Central Wisconsin. Resource Insurance Group is able to offer both commercial and personal policies and work with their clients to build relationships and find insurance products that best fit their needs. If you do not live in Wisconsin you can still search for and compare health insurance quotes for a variety of companies in your local area by filling in your zip code now. Because Resource Insurance Group is an independent agency, you are able to get the best insurance policies for your needs. Rather than working for one insurance carrier and only offering its products, an independent agency has access to a number of different insurance agencies. This way Resource Insurance works for you rather than one particular insurance company. When you speak with a representative from Resource Insurance Group, he or she will ask specific questions to determine what type of coverage you need. A number of insurance companies will then be researched to find the best product and price for you. 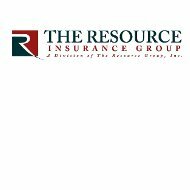 Resource Insurance has a number of insurance companies in which they employ their services. Many of them are bigger, well-known companies that have a wide variety of products from which to choose. Others are smaller companies that are able to be more flexible with certain situations and deal better with high-risk insured. In addition the company offers a number of benefits for your employees, including health and life. To speak with a representative and explore your insurance needs you can call them at 1-608-837-3880 or send them an email at [email protected]. You can also get a quote for business, life, health, homeowners, and auto insurance on their website. Many insurance companies are rated by insurance rating companies. When you are searching for an insurance company for your insurance needs it is always a good idea to check out their financial report. Their ratings for financial strength are an analytical representation of risks that can affect the long-term survival for the company. If a company has a poor rating and a negative outlook, that may be a red flag. There is a chance that the company may fail due to competitive forces, inadequate financial capabilities, or fundamentals that are changing in their marketplace. Some of the companies that analyze and rate insurance companies are Standard & Poors, Fitch, A.M. Best, Moody’s, and DBRS. A.M. Best is one of the best-known companies. If you would like to search an insurance company you can go to their website at www.ambest.com. Currently Resource Insurance Group has not been rated by A.M. Best. Resource Insurance Group prides themselves on building relationships with their clients. They understand that the key to really helping customers with what they need and to keep customers for life they need to build and develop relationships that are long-term. Resource Insurance Group understands that insurance can be frustrating and confusing and they do their best to help you along the way. They are always available to ask questions, whether it is about what your policy covers, what to do in the case of an accident, or how to file a claim. If you enter your zip code below you can compare health insurance rates.